Today, in a world in which news flashes around the globe in an instant, time lags are inconceivable. In the mid-nineteenth century, communication between the United States and Europe -- the center of world affairs -- was only as quick as the fastest ship could cross the Atlantic, making the United States isolated and vulnerable. But in 1866, the Old and New Worlds were united by the successful laying of a cable across the Atlantic. 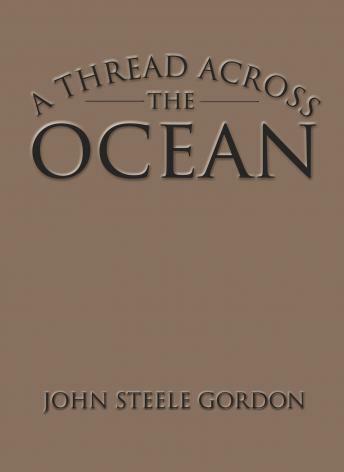 John Steele Gordon's book chronicles this extraordinary achievement -- the brainchild of American businessman Cyrus Field and one of the greatest engineering feats of the nineteenth century. An epic struggle, it required a decade of effort, numerous failed attempts, millions of dollars in capital, a near disaster at sea, the overcoming of seemingly insurmountable technological problems, and uncommon physical, financial, and intellectual courage. Bringing to life an overlooked story in the annals of technology, John Steele Gordon sheds fascinating new light on this American saga that literally changed the world.